Nickelodeon will produce Pinky Malinky, a social media influenced comedy that Nickelodeon greenlit three years ago, produced, and then never aired, which is now slated to debut on Netflix. The middle-school-aged sausage and his best friends made debut on Nickelodeon in 2016. The series follows the humorous, everyday adventures of Pinky, a positive hot dog living in a human world who navigates school and life with his two best friends. The series will have two seasons totalling 59 episodes wherein Netflix will distribute the Nick-branded show and Viacom will retain the licensing rights for consumer products. 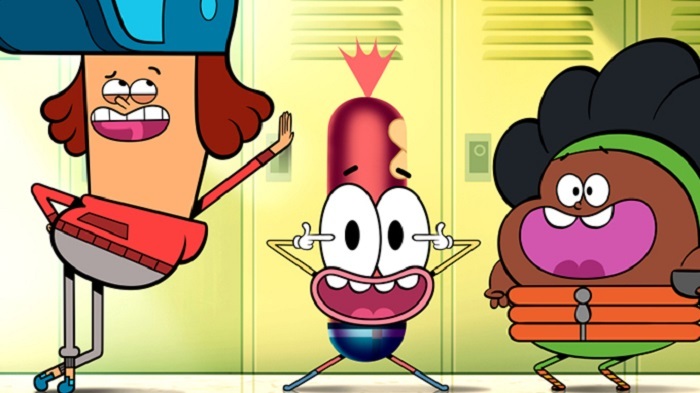 Produced by Nickelodeon Animation Studios in Burbank, Pinky Malinky is co-created and co-produced by Chris Garbutt and Rikke Asbjoern (The Amazing World of Gumball) and executive produced by Scott Kreamer (Kung Fu Panda: Legends of Awesomeness).